After I unburied myself from my messes, I promised that I’d help others dig out from under their clutter, too. But sometimes that’s hard. Because clutter isn’t always just about a messy room. Clutter is often a symptom of something much deeper. Childhood loss, financial strain, deeply-ingrained habits, depression, chronic illness, and marital stress are all circumstances that lead to clutter. So a few months ago, I turned away. I stopped digging into the difficult topics because they hurt. My heart ached for the women who cried out to me in letters, asking for help. I gave quick, peppy answers and ignored the deeper cries because that was easier. I’m sorry. And no more. I may not have the perfect answers, but I’m going to do my best to help, to encourage, and to inspire. We tend to hold on to things while trying to fill holes deep within our hearts. But no heart is too wounded to be encouraged, no home is too far gone to make progress, and no success is too small to celebrate. Sometimes, life is hard. Change hurts. But after the hard, after the hurt, is something beautiful. And I’m ready to be right here, talking about the hard stuff and cheering you on. Today’s hard question is from Danielle. Danielle, I am so sorry that you suffer from anxiety and depression. 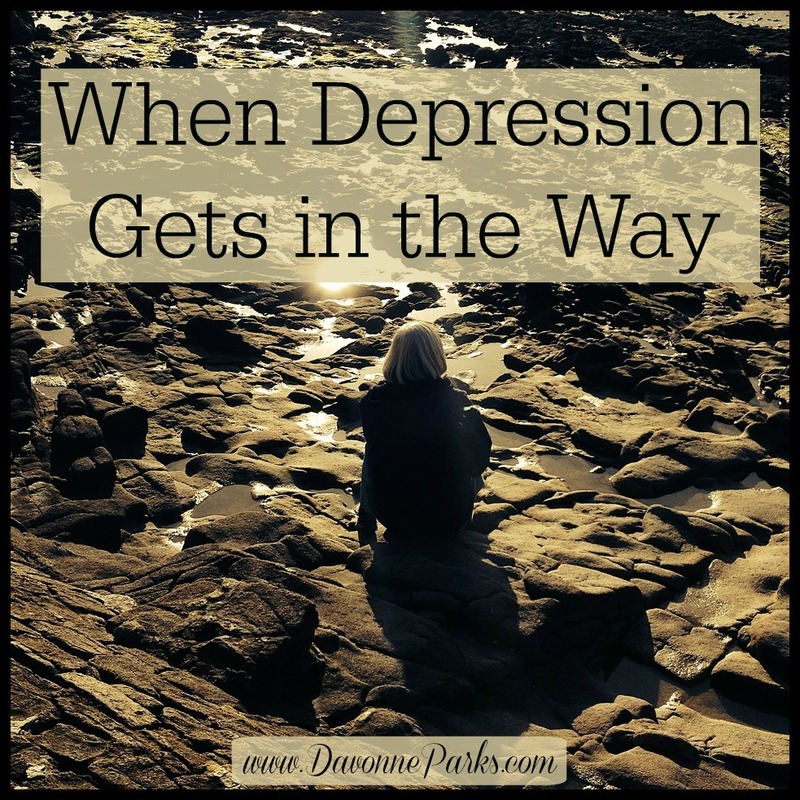 When depression becomes deep, just getting out of bed in the morning is a huge ordeal and housekeeping can feel nearly impossible. Conquering Depression covers topics such as things you can do to relieve depression on your own, when to find outside help, and what to do when there is a chemical imbalance. Each chapter is short and to the point, so the book only takes a few minutes to get through each day, and offers hope from day one. When you start feeling depressed, talk to your spouse or a friend, or seek help from a counselor in addition to reading through a helpful book. To help you receive encouragement when you’re feeling overwhelmed, I invited you to join the secret Facebook group. 1) Only focus on one room. 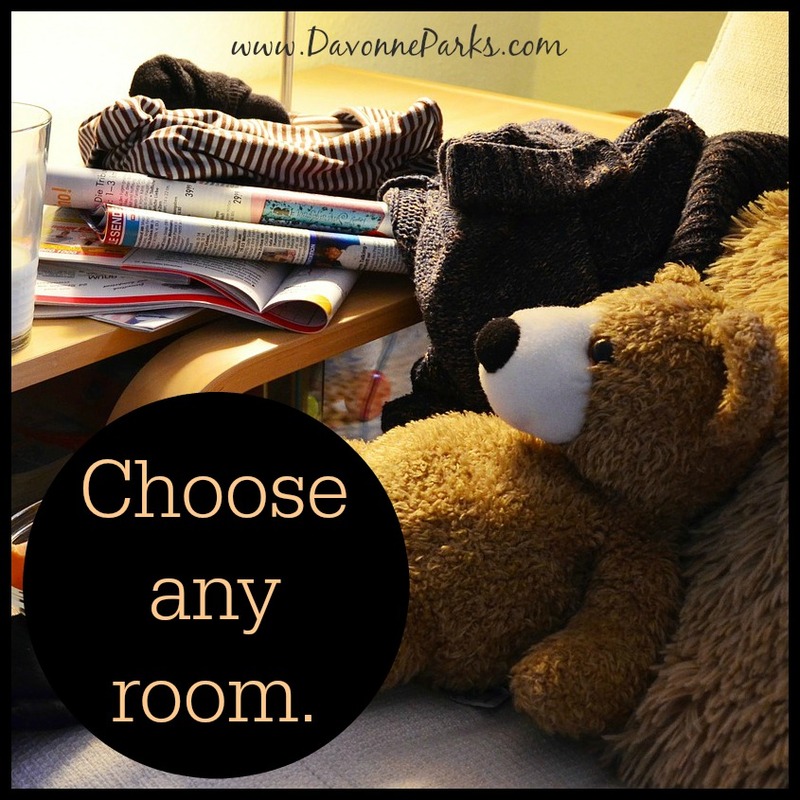 You may choose the room that bothers you the most, the room that’s the easiest to clean, the area company first sees when they arrive, or any other room you’d like. The room itself doesn’t matter nearly as much as just starting somewhere and giving yourself a success! You may not have time to clean your entire kitchen, but you could unload and reload the dishwasher. If you can’t organize your entire dresser, you can declutter one drawer. It doesn’t seem like much, but all of these little minutes help add up to make a huge impact! It’s easy to feel discouraged when we’re not making progress as quickly as we’d like. But we can give in to those discouraged, paralyzing feelings or we can push through and refuse to give up! I hope this helps you, Danielle! You also asked some great questions about who should be doing the housework. I talked about that a little bit here and I plan to address your specific questions in my next article. 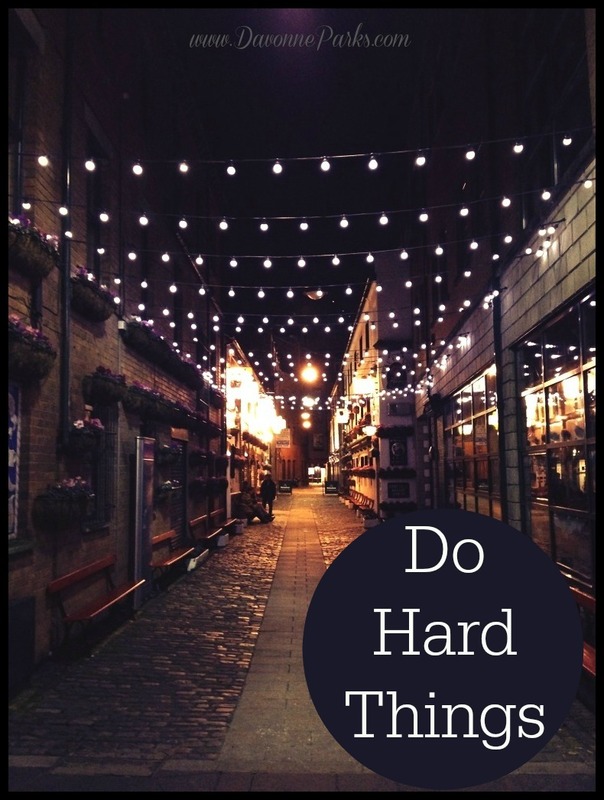 What tips or encouragement would you like to share with Danielle for when she’s feeling overwhelmed or anxious? Had I not moved the sorting process to the dining room table, I would’ve been thinking about the floor that needs to be mopped, the rugs that need to be vacuumed and/or washed, the cabinet doors that need to be dusted, the re-arranging of cabinets I need to do so I have a place for bottles to be stored, the laundry room that needs to be painted so I can put up a wall-mounted drying rack and I can take down the big one in the middle of the kitchen, the fact that I need to run vinegar through our coffee pot to clean it since it’s been awhile, etc. But, I moved it away and we were able to focus on that one task and it made a huge dent in that mail pile! Now, we just need to keep the mail from piling up again! That’s fantastic, Jenna! Thank you for sharing your tips and congratulations on your precious baby & catching up on mail. Thank you so much for taking the time to address my issue! I know it’s an issue for many! Being a SAHM is difficult work in itself, but to suffer from depression an anxiety on top…well makes the work a million times harder! We recently found out some unfortunate news regarding my husband’s grandfather which one again puts my house on the back burner it seems. His family is extremely close and I understand the need and want to constantly be there. It just seems I’m always running…in between my children’s school (volunteering), helping his family, my kids sports, at the end of the day not only am I emotionally but also physically exhausted. On a positive note, I have made a dent in my clutter I have a back room that we are using as a pantry until we turn it into a full bath… ANYWAYS I threw away 4 garbage bags and have tons to take to The Salvation Army. Still working on organizing but I’m close to finished! As for today I’m beyond exhausted! GOD BLESS! You are so welcome Danielle. I’m just sorry that it took so long to answer your questions and I’m sorry you’ve had difficult news about your husband’s grandfather. You’re making amazing progress though! I’m so excited for you that you’re almost done organizing and decluttering! Congratulations on the dent, 4 bags plus things to donate is fantastic! I go through fits and starts with “getting organized” but two things that have helped me is to 1) choose a SINGLE habit to focus on (putting shoes away, or keeping table clear, or making bed), and 2) follow the advice of Nony from aslobcomesclean.com to put each item away immediately. Not create new piles while I sort. Just pick up an item and take it to it’s home (or trash). It takes longer, but I don’t leave a bigger mess. 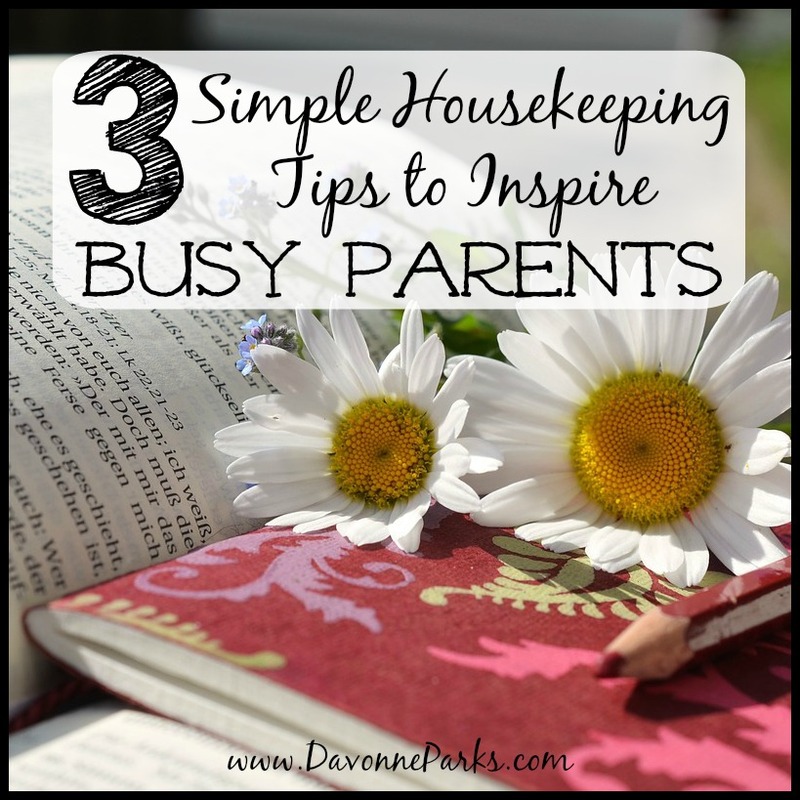 Thanks for this post, Davonne! I’m looking forward to reading more of your inspiration! Thank you for your fantastic tips, Lee! Glad to see you stopping by here. That is wonderful and very true advice, Katie! Thank you so much for sharing.